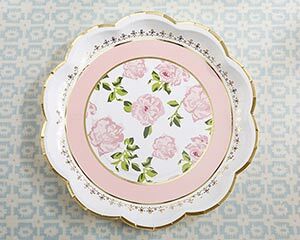 Kate Aspen’s Tea Time Paper Plates are the perfect way to present guests with cakes, finger sandwiches, scones and all of your favorite tea party fare. 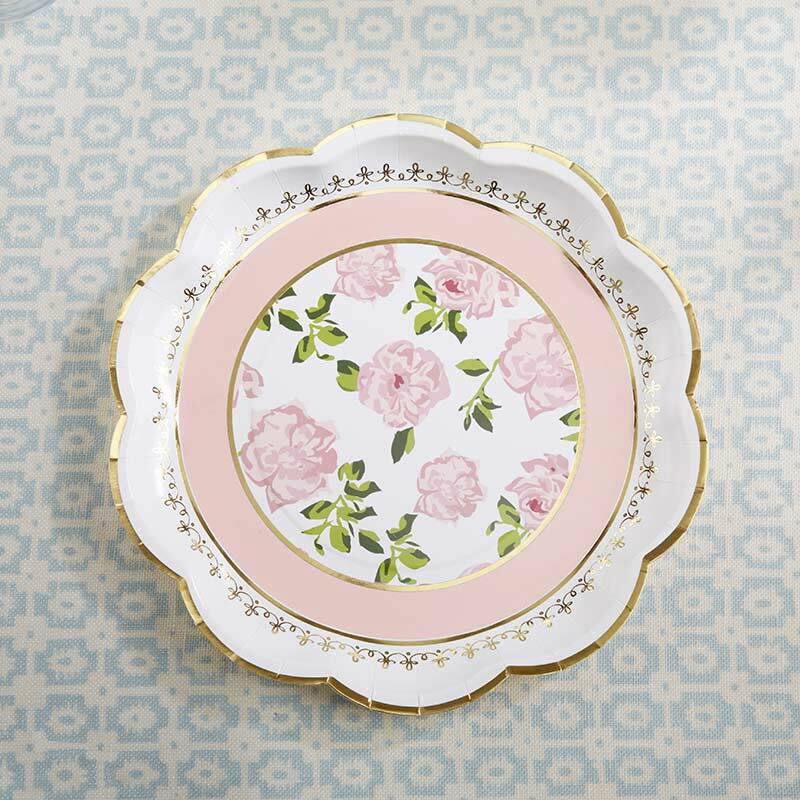 These party plates feature a delicate floral design framed by a pink ring and gold foil with additional gold foil accents along the outer border. Sold in sets of 8, the Tea Time Paper Plates hold food items safely and suit tea parties of all sizes.